AMD hasn't truly said goodbye to mobile devices. The company is open to making a graphics processor for mobile devices based on its Radeon product line, but only in select circumstances, said Raja Koduri, senior vice president and chief architect of AMD's Radeon Technologies Group. AMD could make a mobile GPU as part of a partnership or a licensing deal, but otherwise has no active plans to build an end product for mobile devices, Koduri said this week. The company currently makes GPUs for PCs and embedded devices. AMD sold its mobile graphics division in 2009 to Qualcomm, which uses the technology in a mobile GPU called Adreno, an anagram of Radeon. Graphics chips are expensive and difficult to make, but AMD could make one as part of a large custom chip deal, potentially worth millions of dollars. AMD has been making custom chips for years as it looks to expand beyond PCs into adjacent product lines. AMD shipped more than 50 million custom chips in 2015, including chips for Microsoft's Xbox One and Sony's PlayStation 4 gaming consoles. 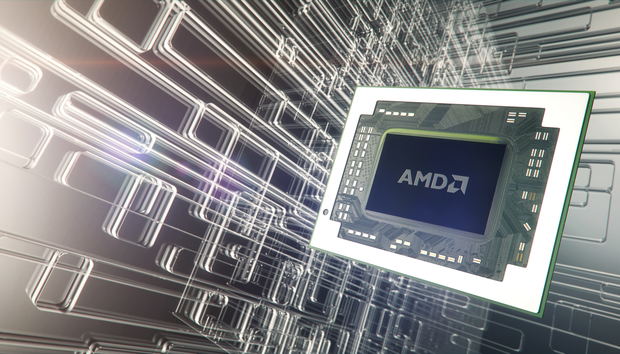 Custom chip deals make up a growing part of AMD's revenue stream. Graphics processors can draw a lot of power and drain the battery of devices. AMD's GPUs can be turned into smaller cores and tweaked to consume less power, said Jim McGregor, principal analyst at Tirias Research. AMD's low-power GPUs for embedded devices are capable of running 4K video, and the company could flip that architecture over to mobile devices. But finding success in the mobile GPU market can be difficult, as shown by Nvidia. Its power-hungry, high-end graphics cards didn't fly in mobile devices. Nvidia's Tegra chips -- which include a CPU and GPU -- are now included in just a handful of tablets. The graphics market is now ruled by Imagination, with its graphics chips used in Apple's iPhone and iPad, and ARM, with its Mali graphics used in Samsung's Galaxy handsets. Customers might consider AMD's mobile graphics in the event of radical technology improvements, McGregor said. Otherwise, AMD's decision to hang on until a partnership or licensing opportunity is a smart one, he added. "I don't think there are going to be too many takers," McGregor said.